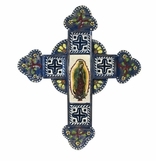 The religious folk art of Mexico, with its Spanish, European and regional influence, depicts the spiritual heritage and importance to the people of Mexico. 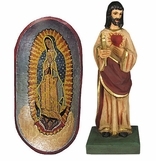 Our collection of religious folk art items is complete with antiqued retablos, tin crosses, Virgin of Guadalupe statues, milagros, hand painted dough bowls and more. 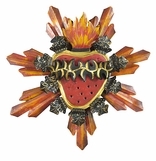 All are beautiful examples of the spiritual roots of Mexico's religious folk art. 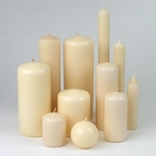 These items can be used in a traditional home altar or for a special religious gift. 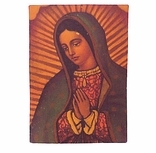 The retablo prints, hand painted dough bowls and other antiqued items in this section are chosen from our assorted existing stock: We receive many different designs from Mexico and will choose your items from our available stock. The item you receive will most likely be different than the one pictured here. 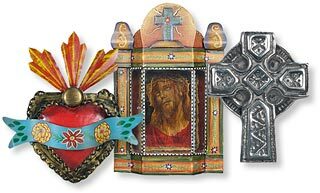 Click on the religious folk art categories below for details and ordering.